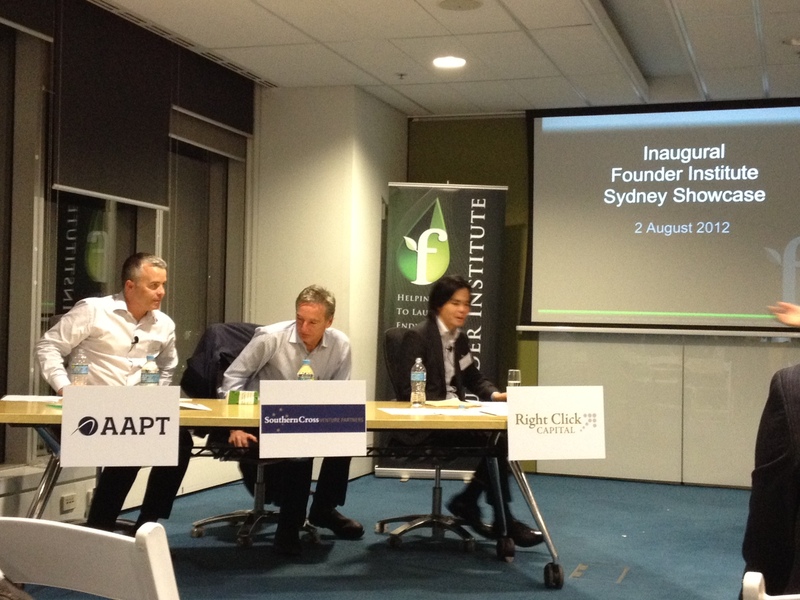 The Founder Institute in Sydney recently graduated their first class. We attended both the Sydney Showcase to hear the company pitches, and an information night for their next semester intake. Hannah DeMilta and Fleur Fletcher were there to cover these events and learn more about the program. For Sydneysiders with a business idea, there’s a great selection of pre-seed incubators/programs available to help turn their dreams into a reality. The Founder Institute is one of those programs now available here. It’s a four month program, where the accepted participants meet once a week. One graduate described it as “part Survivor, part The Apprentice.” Attendees learn from mentors covering a range of topics, from research and business models to marketing and funding. Each week there is also “homework” to complete (up to 10 hours). If you can’t put in the work, or your idea doesn’t stack up… you leave. By the end of those four months, the group has whittled down to a handful. The Sydney showcase was an evening for those program survivors to share their businesses through a short pitching and feedback session. We also heard from Keynote Speaker, Brad Howarth as he shared his insight on entrepreneurs and trends he is seeing in the industry. Be succinct. Can you explain your idea in 10 words or less? Mix in ‘secret sauce’ to show you’re an expert. Ideally, something defensible. Find out more by reading the FAQ, or apply here. Thank you to co-directors Benjamin Chong and Benajmin Ranck for organising, and AAPT for hosting.